Similarly to GRPCMonix which provides a Monix interface – Task, Observable – on top of gRPC, it’s possible to develop an AkkaStream interface on top of gRPC. Under the hood it’s still the grpc-java implementation that is running (using Netty). 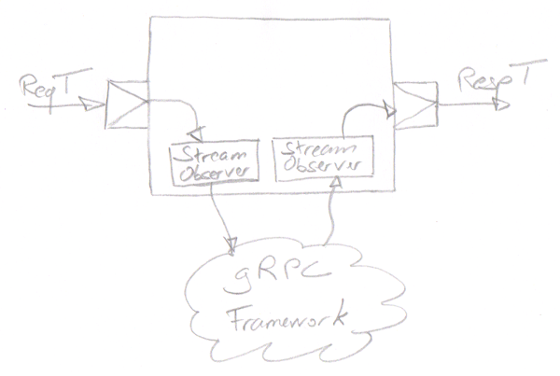 The gRPC AkkaStream library is mainly a bridge between gRPC StreamObserver and AkkaStreams Flow. Bidirectional streaming calls: a client sends multiple requests to the server with replies with multiple responses. 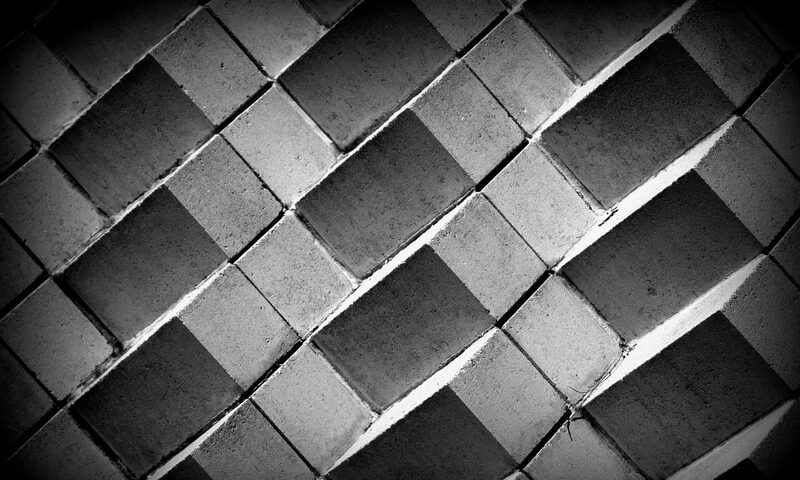 Client requests and server responses can be intertwined. The good thing with AkkaStreams is that we can model all these use cases using Flow. All the different call types can be modelled as a Flow[Request, Response, NotUsed] – a flow of client requests to server responses. "beyondthelines"         %% "grpcakkastreamgenerator" % "0.0.1"
"beyondthelines"         %% "grpcakkastreamruntime" % "0.0.1"
From now on, you’re ready to go just place a .proto file with some gRPC service definition in src/main/protobuf and it should automatically generates the corresponding akka-streams stub and traits. On the client side we just have to use the Flow provided by the stub. You can find more details with a complete example on github (This example is based on the route guide example from grpc-java). That’s basically all you need to know to start enjoying working with akka-streams and gRPC. Now a few words on the implementation details. You don’t need to know anything about it to use it but I’ll think it might be useful information to share as it uses some more advanced akka-streams concepts (e.g. customs graph stage). The gRPC Akka stream library provides a bridge between Akka-streams Flow and the corresponding StreamObserver used by the underlying implementation of grpc-java. 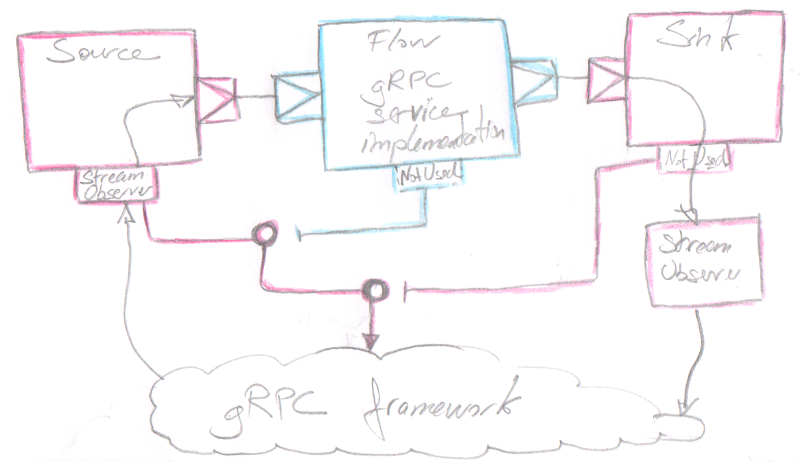 On the client side the user provides the input (source) and output (sink) and we need to implement a flow connecting the input to the output by invoking the gRPC service. Let’s start with the easiest part on the client side, the simple unary call: the classic request/response pattern. This method calls sends the request ReqT to the server and returns a ListenableFuture with the response. Fortunately scalaPB provides us with a method that converts a ListenableFuture into a Scala Future. Once we have a Scala Future we can easily turn it into a Source and flatMapConcat the initial flow with it to produce the response. The server streaming call is slightly more complicated as we have to deal with multiple response from the server. grpc-java provides a StreamObserver to deal with it. We can take advantage of the akka-streams integration with the reactive-streams API to solve this problem. (A reactive Subscriber can easily be turned into a StreamObserver ). We create a Source from a reactive Publisher which when subscribed triggers the gRPC call by transforming the subscriber into a StreamObserver. These 2 cases can be solve the same way (they’re both implemented using StreamObserver to provide requests and consume responses) – the only difference is that the client streaming calls produce only one response from the server. This use case is solved with a custom GraphStage. Here we define a GraphStage with a classic FlowShape: one input and one output. We then need to consume events from the input port and feed them into the input StreamObserver so that they are sent to the server. The second part is to consume events from the output StreamObserver and feed them to the GraphStage output port. The problem is that it’s fully asynchronous and we have no control of when the server will provide a response. That’s why we need to use getAsyncCallback to handle the responses. Moreover a Flow should provide a back-pressure mechanism: produce its output only when asked by the downstream component. As we have no control of when the server produces a response, the only way to deal with back-pressure is to buffer the responses so that they are consumed downstream only when needed. As you’ve probably noticed there is no buffer in this implementation. The buffering is in fact hidden by the call to emit. emit stacks new output handlers on top of each other and removed them once their elements are consumed. This is how the buffering is performed here. Given an output StreamObserver we create an input StreamObserver by performing a server call. (both asyncClientStreamingCall and asyncBidiStreamingCall returns an StreamObserver for the input). The output StreamObserver is created in out custom GraphStage. The server side wiring is the opposite of the client side. Here the user provides the flow (the service implementation) and we need to wire the input observer to the input port of the flow and the output port of the flow to the output observer. This is definitely the tricky part: we need to turn a StreamObserver into a Source. and again it’s because we have no control of when the events occur which is at odds with the back-pressure provided by akka-streams. To solve this issue we used the same GraphStage strategy that we use on the client side but this time with a source shape (only one output port). It’s very similar to the GraphStage we used on the client side (emit and async callbacks). That’s great but we need to return a StreamObserver linked to this source so that the gRPC framework can provide us with the input events. Well, the only way to do it is to use the materialised value of the source to return the StreamObserver (that’s why it extends GraphStageWithMaterializedValue). Using the reactive streams to make gRPC calls feels really good. However gRPC StreamObserver doesn’t play nice with reactive streams because of the lack of back-pressure support. It’s probably worth investigating how to replace the Netty implementation with Akka-HTTP and look for a nicer integration. As always you can find the complete source code on github, so don’t hesitate to have a look and contribute!